Look below to see what our customers think of us. They represent the customer's voice in our company, and we have always done everything in our power to listen to our customers. Our customers make us a better business, and their honest and fair feedback has always allowed us to improve our business. 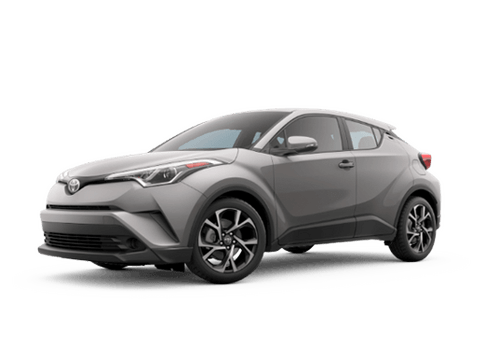 We believe in creating the best place to get Toyota products and Toyota services, and we are willing to let you help us do that. If you would like to provide us with even more honest and fair feedback, specifically regarding your most recent experience with us, then we will be more than appreciative, and we will take your words to heart when we look for ways to improve our business even further. I had a great time buying my new Toyota Camry hybrid. The sales person, manager, and the financial person were all helpful, efficient, and easy to deal with. My sales person was Roy Trumbly. In addition to helping me get a good deal he did something far beyond. The day I was supposed to pick up my n...ew car I broke my wrist, and it required surgery and a hospital stay. He delivered my car to my home for me. The hood release cable on my scion busted and of course, my low oil light started creeping on during sharp turns. I spent the last week recruiting all the people... and available auto shops I could get a hold of to fix the thing- no one could do it. Shops would asks for full days to see if they could get it open to no avail. Getting desperate, I figured the dealership would be my best (and now knowing I should have just gone here in the first place). I called and spoke with Jason I believe who understood my urgent situation and said he could squeeze me in that day after work to see what could be done. I came in and spoke with Aaron who would be helping me with my issue from here on. Aaron somehow got the hood open in 5 MINUTES. This alone would have gotten a happy customer (yay- oil for my car!) but it's everything he did beyond this that left me blown away. Unfortunately, after basically driving the whe...els off my wife's Impala- it was time to replace it & I had to buck up and deal with my distaste. We live in Chico. Midsummer we went to our in town Chevy dealer.....just....a horrible experience- one that I'm not going to go into the details of. I will say I've walked out on lots plenty of times due to blatantly manipulative behavior, and that time was no different. We are from the Bay Area and had been searching for the right vehicle for our family. Dealing with the amazing Internet Sales team was so stress free! Michael Tucker is Their Internet Sales Manager and took the hassle out of purchasing a new car. Everyone at the dealership was upfront and responde...d quickly to all of my questions. It took me only 90 minutes to purchase our new family vehicle and I couldn't be happier with it and the easy process. During my time at the dealer I dealt with Nick who again was very helpful and super informative throughout the buying process. I would recommend everyone from the Bay Area to drive the extra 2 1/2 hours as it is well worth it! I will definitely be making the trip next time we are in the market for a new car!